The severe weather threat continues today as another round of strong storms are expected across much of eastern Colorado this afternoon and into tonight. The Storm Prediction Center has issued a Mesoscale Discussion in which they place an 80% chance for a Severe Thunderstorm Watch for eastern Colorado south of I-70 for this afternoon. Storms that develop will be capable of producing hail >1" in diameter and strong winds. 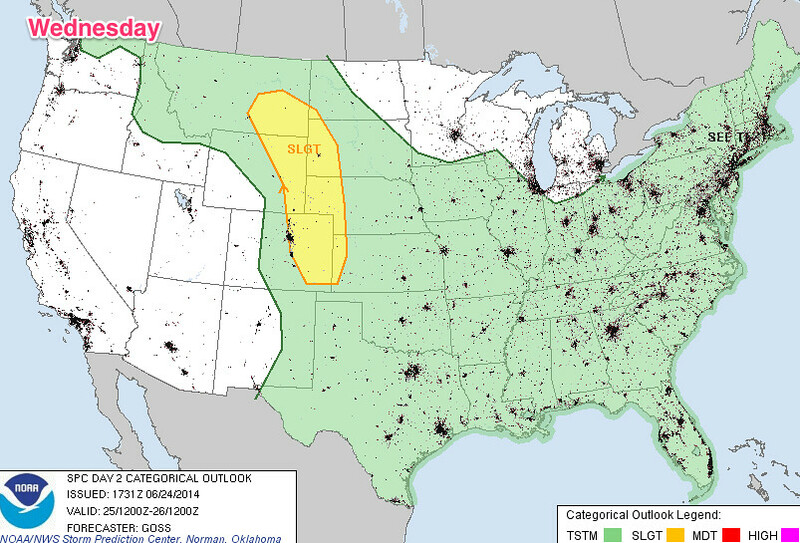 Also the threat of isolated tornadoes will exist with any strong storms that develop. The atmosphere is still largely capped across northeast Colorado, which is likely why it's not included in the most recent MD issued by the SPC. High resolution models continue to suggest that cap will be broken later in the afternoon and evening -- and if it does, strong storms should be able to develop. 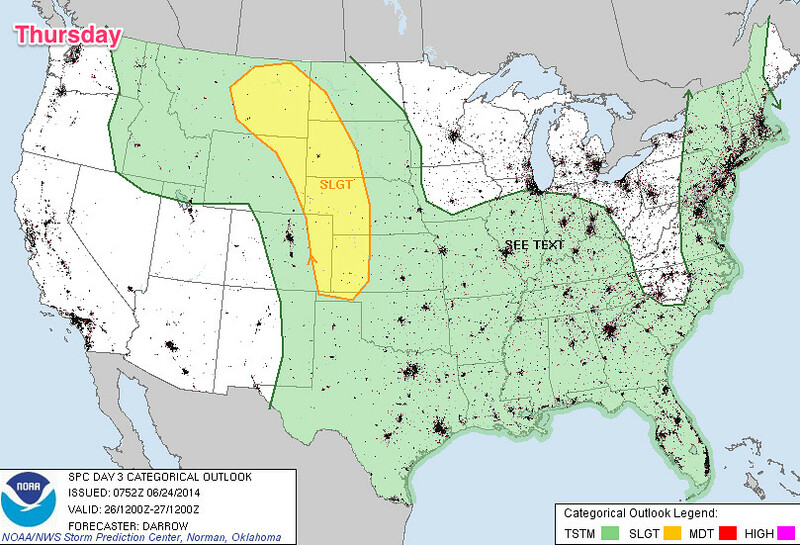 The best chance for storms in Denver will likely be early this evening. Should storms start to develop across northeastern CO, we will likely see the severe watch grow to include these areas as well. The SPC keeps the severe threat around through Thursday for eastern Colorado, but chances for Denver should be lower both days. We'll have the most frequent updates on today's severe weather threat and any storms that do develop on our Twitter page (@weather5280). Stay weather aware!